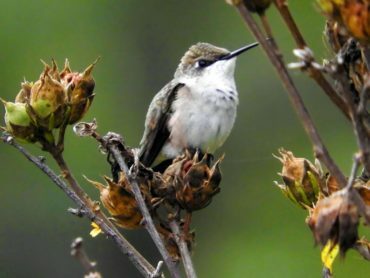 Last month, my husband and I visited a small public garden in Southwest Washington called the Wildlife Botanical Gardens. The garden is a project of the NatureScaping organization, devoted to showing homeowners ways to attract birds and other wildlife to their yards by providing reliable sources of food, water, shelter and nesting material. The 3 acres of theme gardens demonstrate creative and practical ways to incorporate wildlife-friendly features such as birdbaths, fountains, feeders, birdhouses, plants and brush piles into your landscape. Here are some tips I got from my visit. Providing the right kind of food that birds and pollinators eat is one of the easiest ways to attract them to your yard. Plants and grasses give them natural food sources such as bugs, worms, seeds, nuts, berries and nectar. The same flowers that hummingbirds love will also attract bees, butterflies, dragonflies and other pollinators. Hanging bird feeders from branches or hooks will draw birds to your yard like a magnet. Bird feeders also supplement bird diets during colder months, when plants are scarce. Reliable water sources are essential to birds and pollinators for both drinking and bathing. 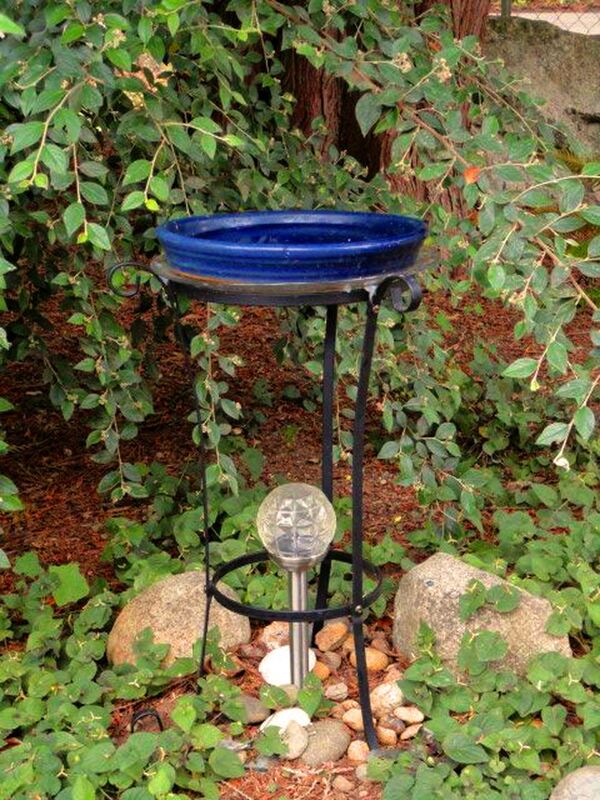 Perching birds will use birdbaths, ponds and fountains. Hummingbirds, butterflies, bees and dragonflies, on the other hand, prefer drip hoses and sprinklers. Water features can also add visual interest and color to your yard. At the botanical garden, I enjoyed watching birds take turns splashing in all sorts of birdbaths. 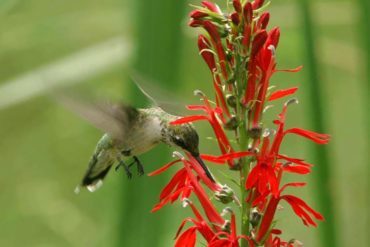 Having a variety of water sources will make your yard a haven that birds and pollinators will want to visit every day. Birds and pollinators need places to nest. 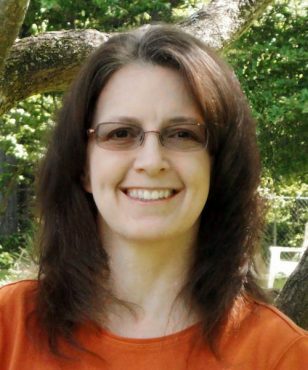 The Wildlife Botanical Garden offers shelter and nesting sites in trees, tall grasses, brush piles and birdhouses. A pile of undisturbed branches can be an attractive nesting spot for some pollinators. 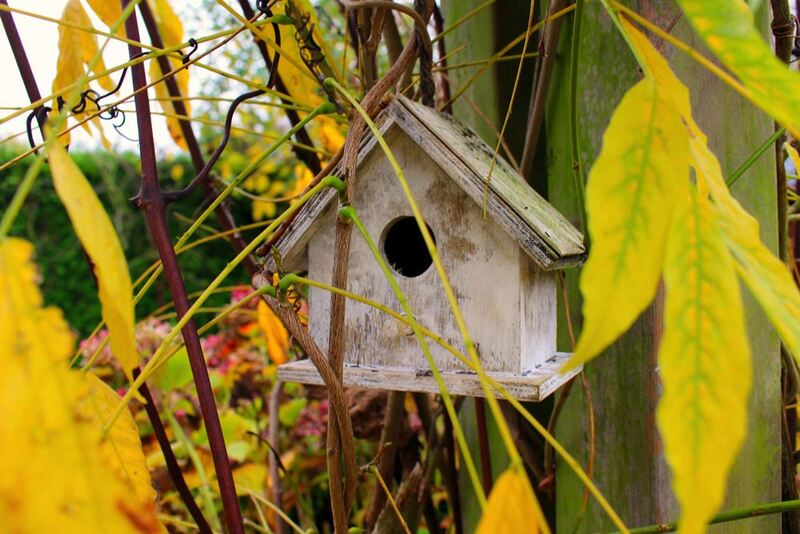 Although birds will build nests in any place that seems suitable to them, birdhouses will give them a dry place to build a nest year after year. You can also provide nesting material for them by leaving twigs, moss and fallen leaves on the ground or in an open compost pile. Take precautions to place birdhouses where they will be safe from predators such as foxes, coyotes, raccoons and cats. Sharing your yard with wildlife can be fun and rewarding. My visit to the botanical garden gave me a wealth of ideas for my own yard. 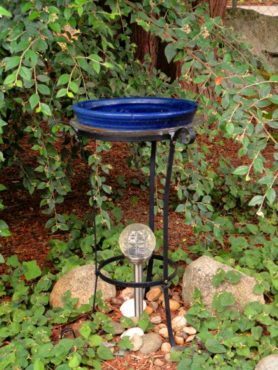 I have since added hummingbird feeders, birdbaths, flowers and an open leaf compost pile that attract birds, butterflies, dragonflies and bees every year. For more information about the Wildlife Botanical Garden and ways to make your yard more wildlife-friendly, visit the garden’s website at www.naturescaping.org.